90 min [ ] - This drama features three stories about the bonds between children and absent parents. 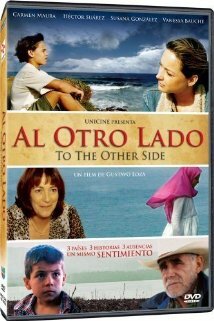 A Cuban boy who lives in poverty with his mother longs to visit his father in the United States, a Moroccan girl attempts to reunite with her father, and in Mexico, and a boy disobeys his father to visit a strange lagoon. These related vignettes showcase the powerful hold that parents have upon their children, which often remains strong despite their absence.